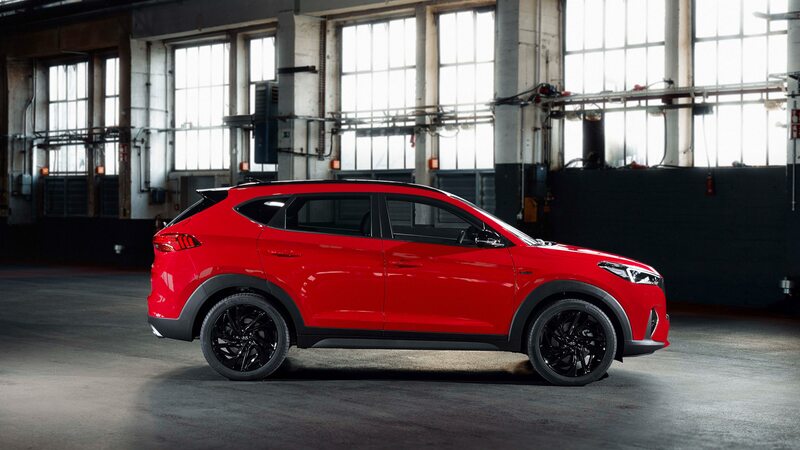 As far as sorta-sporty crossovers go, anyway. 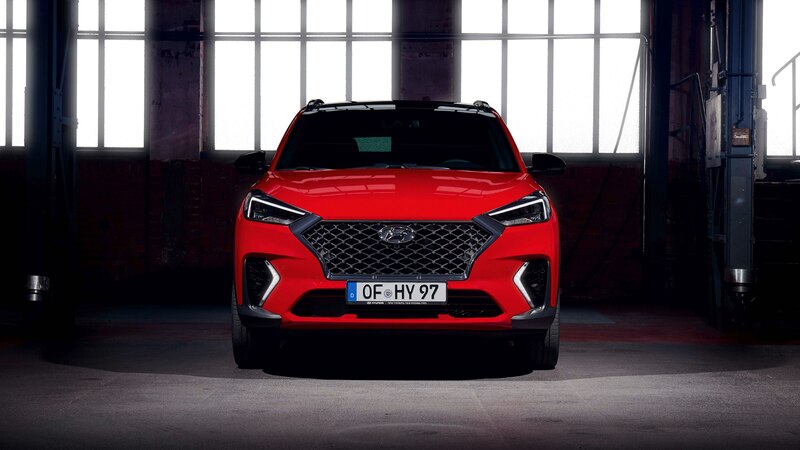 Will we get it here? 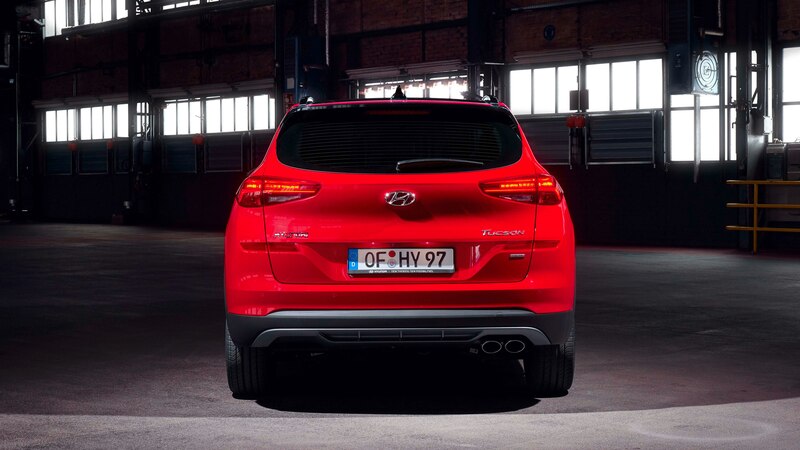 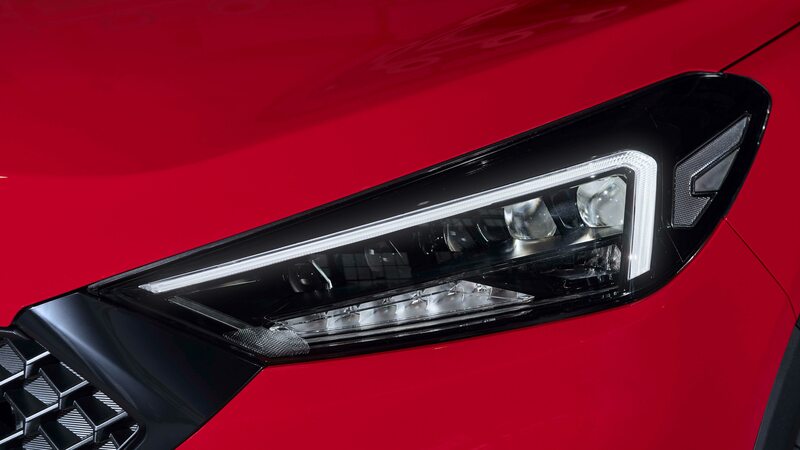 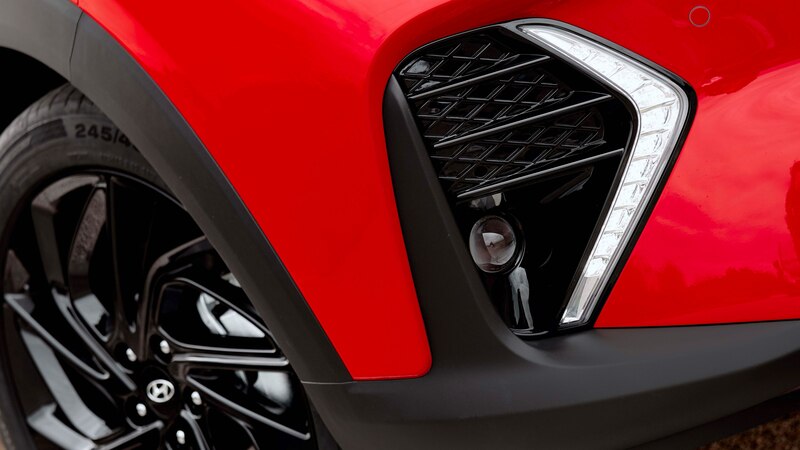 We’ve heard rumors that Hyundai will introduce a high-performance Tucson N making as much as 340 horsepower. 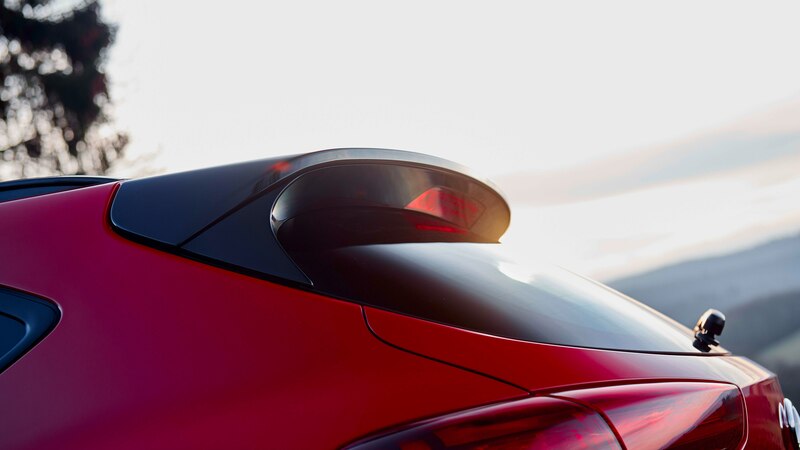 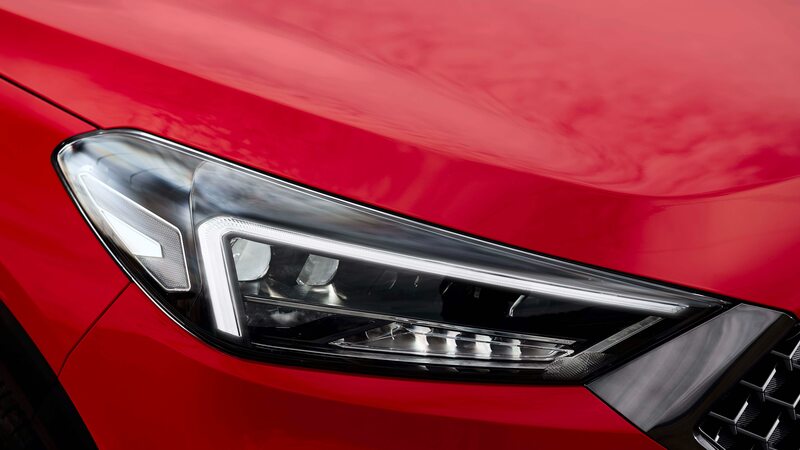 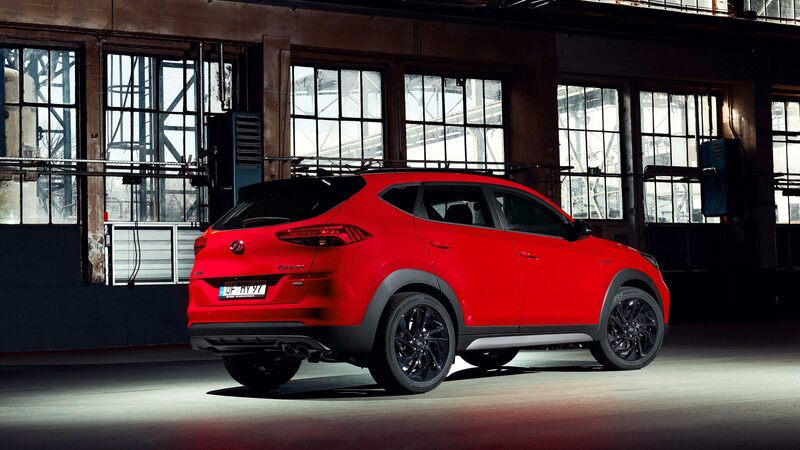 This story is not about that model, but rather the less aggressive N Line version rolling out in Europe now. 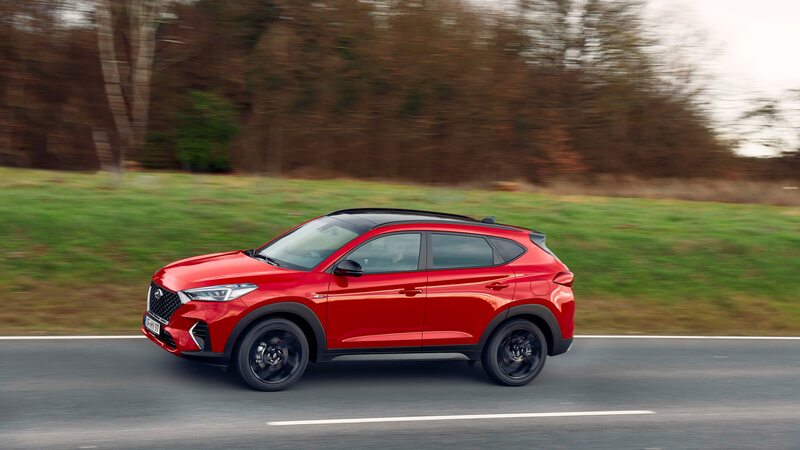 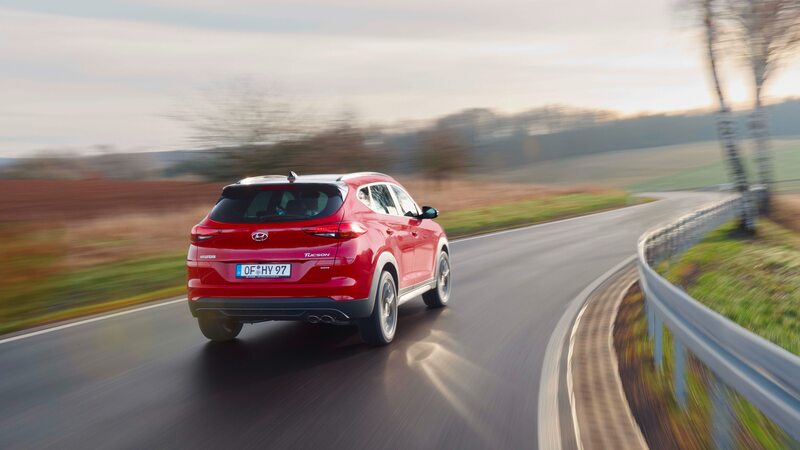 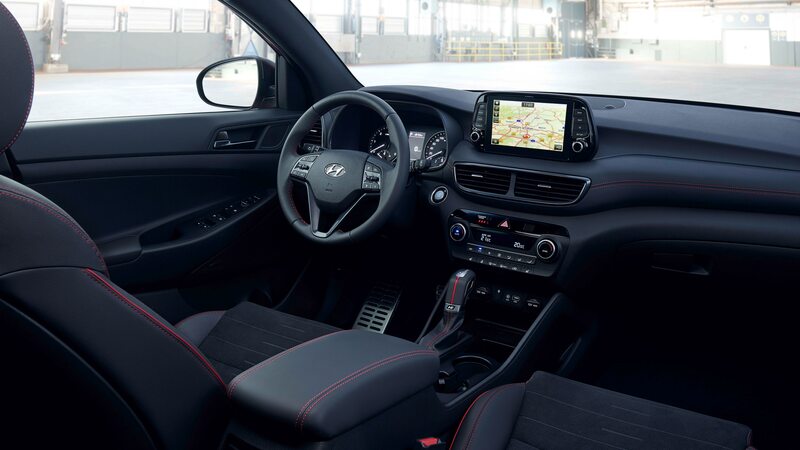 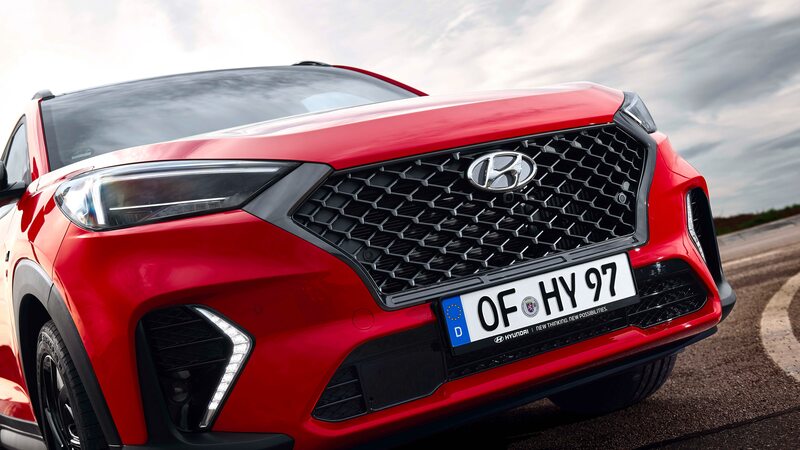 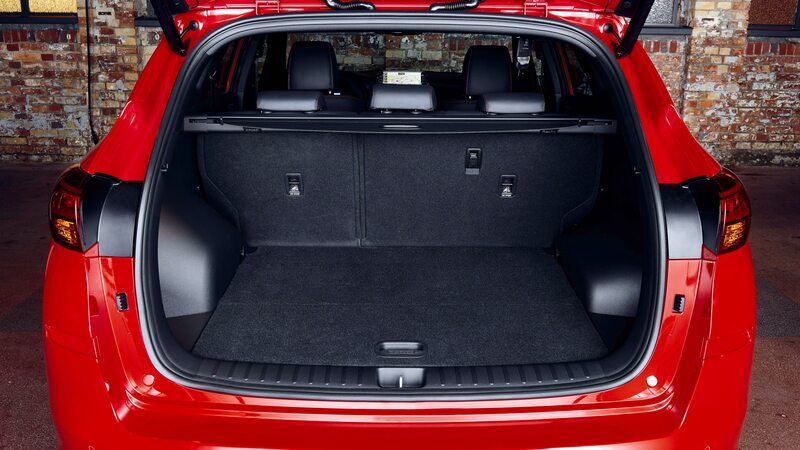 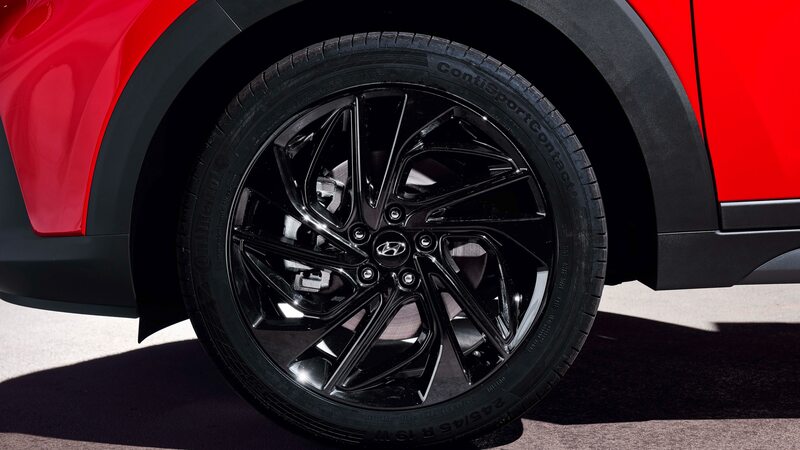 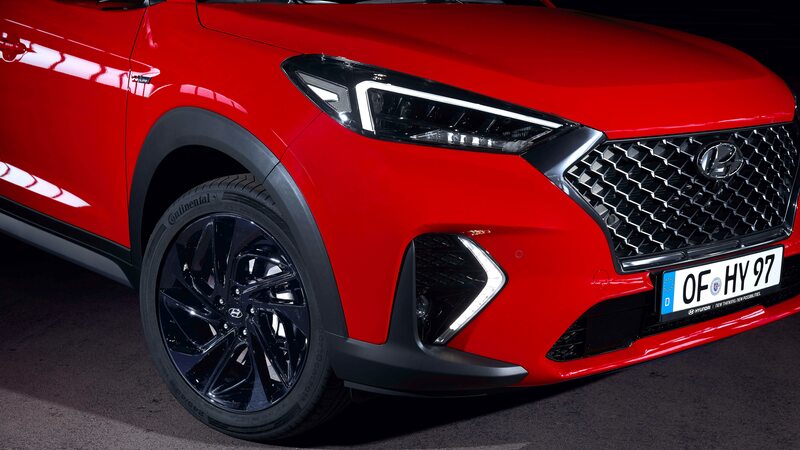 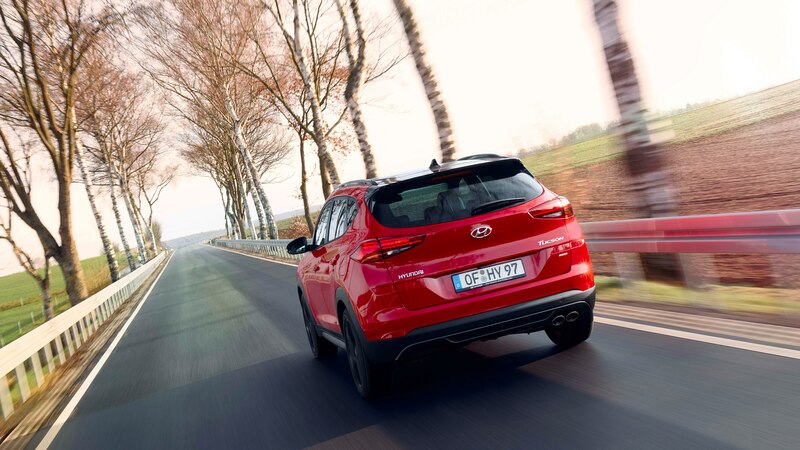 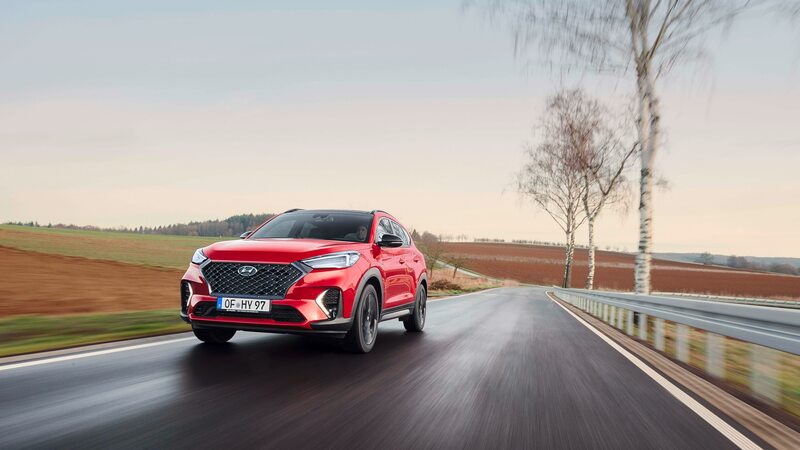 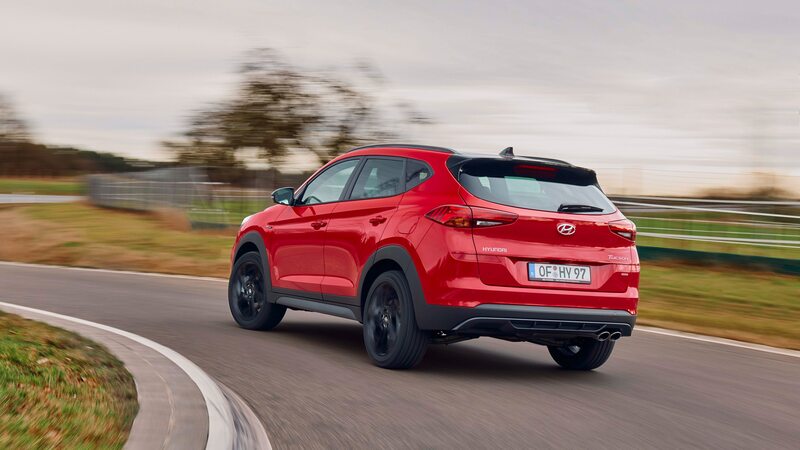 The Hyundai Tucson N Line gets some cosmetic and mild performance upgrades, including new fascias, a dark mesh grille with a dark chrome frame, and dark 19-inch alloy wheels. 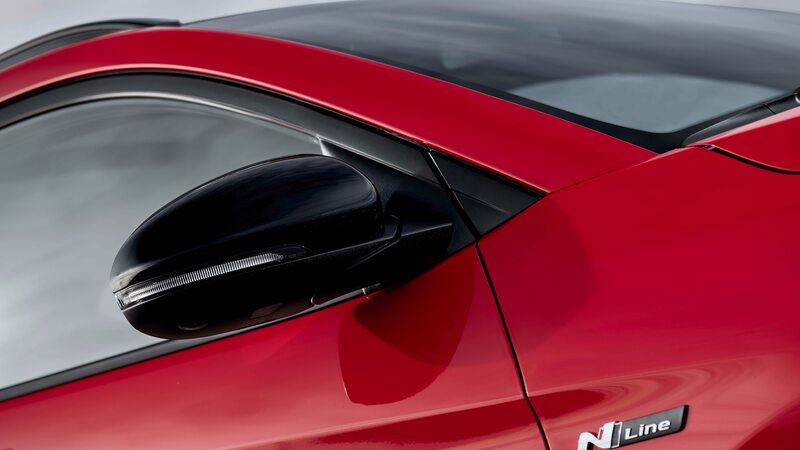 The darkened theme extends to the mirror caps, rear spoiler, lights, and window frames. 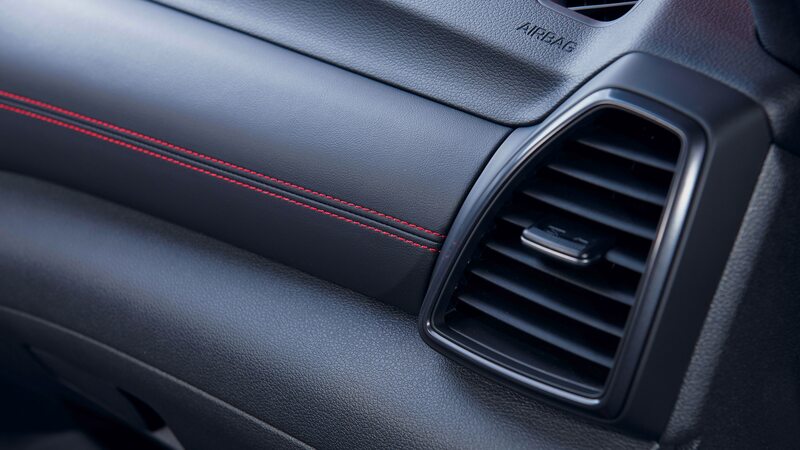 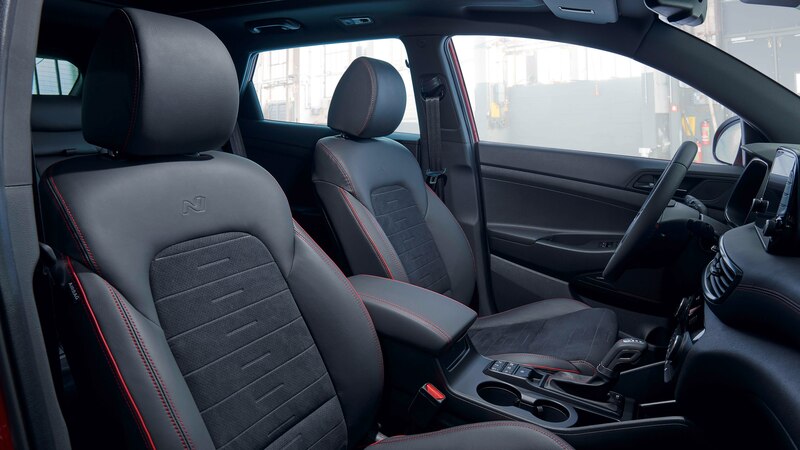 Open the doors, and you’ll find sport seats outfitted in a mix of leather and suede, and branded with the N logo. 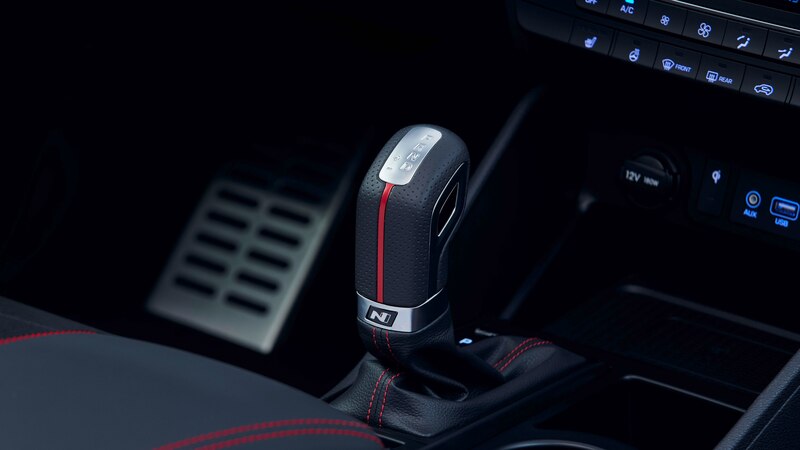 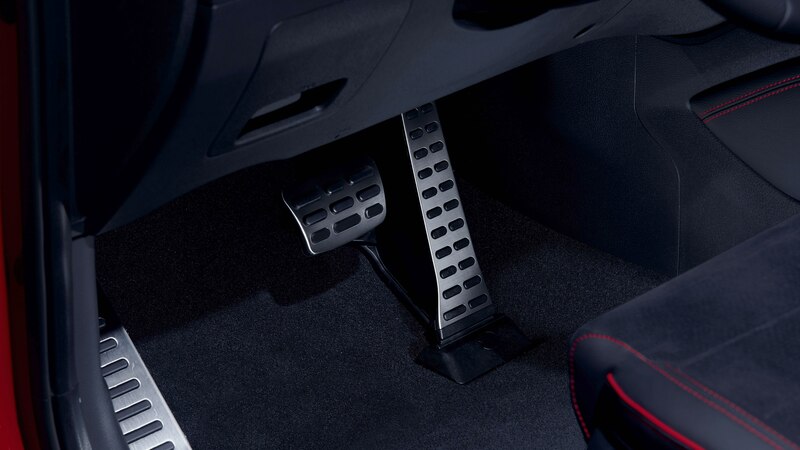 Other touches include red stitching, alloy pedals, and an N shift lever. 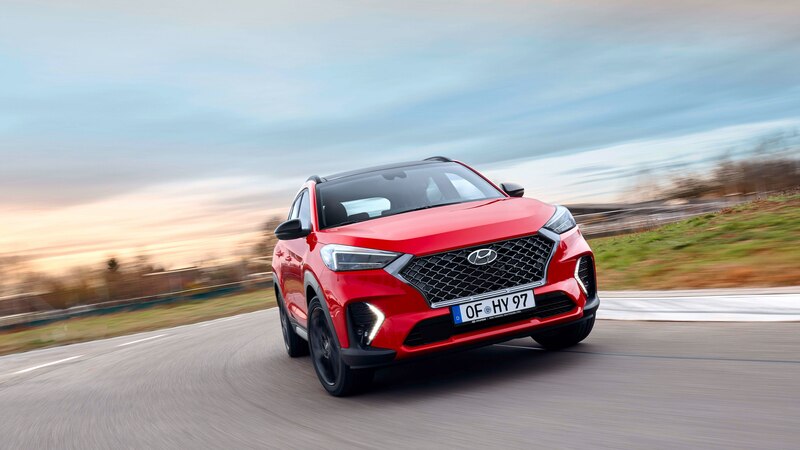 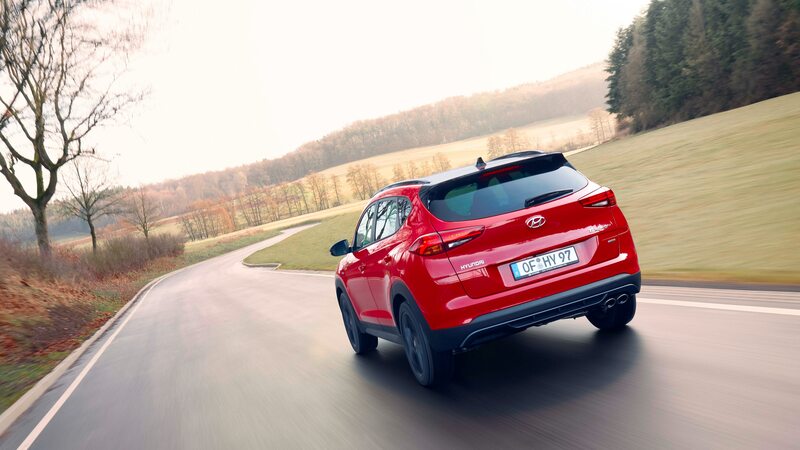 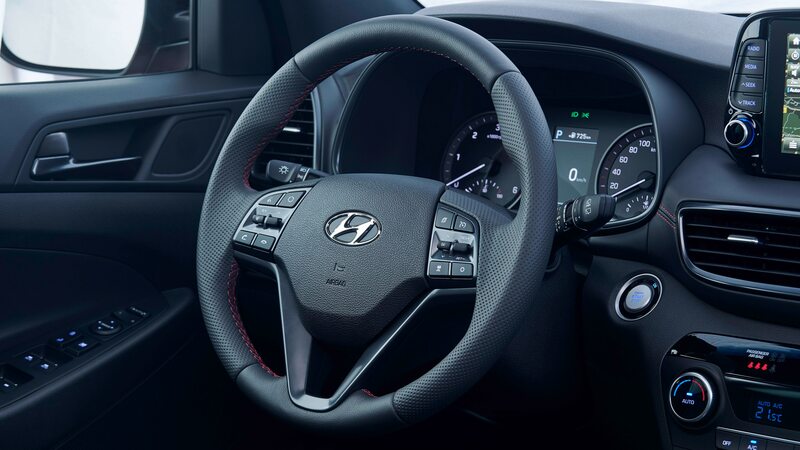 Software changes promise more linear steering feel on top models, Hyundai says, which also have springs firmed up by eight percent up front and five percent at the rear. 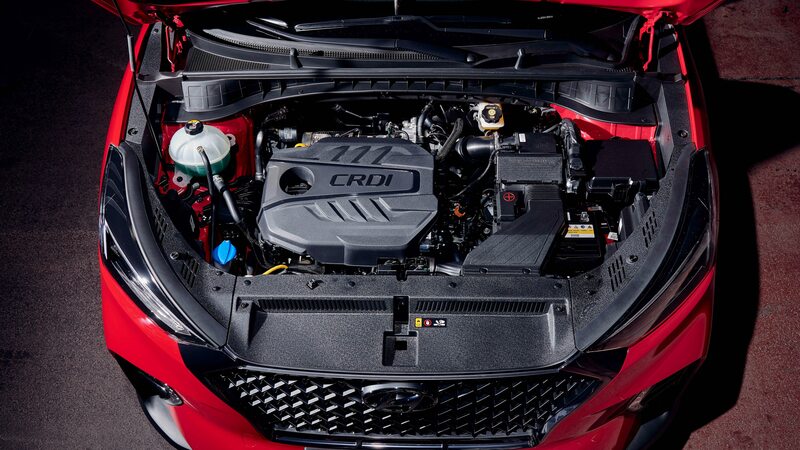 A power upgrade isn’t part of the equation. 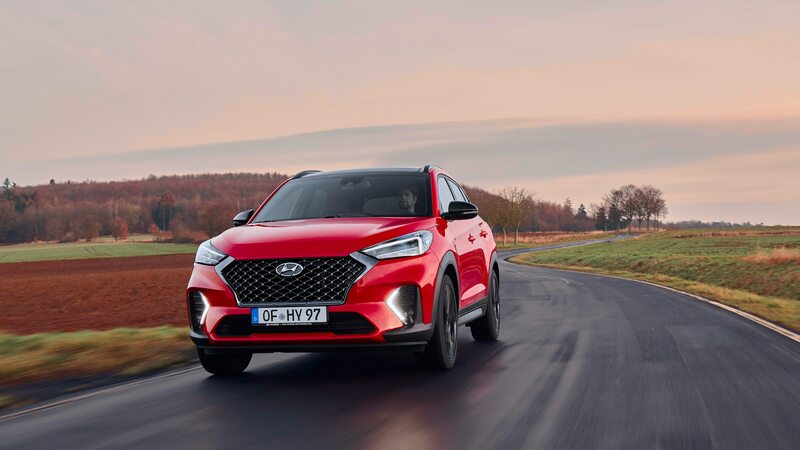 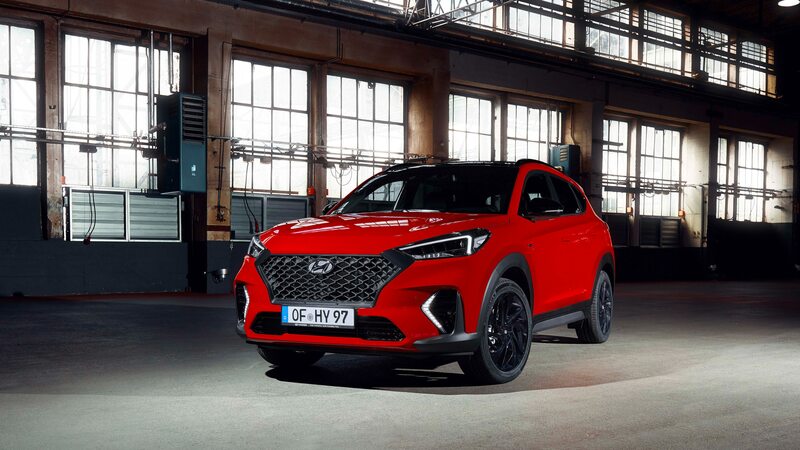 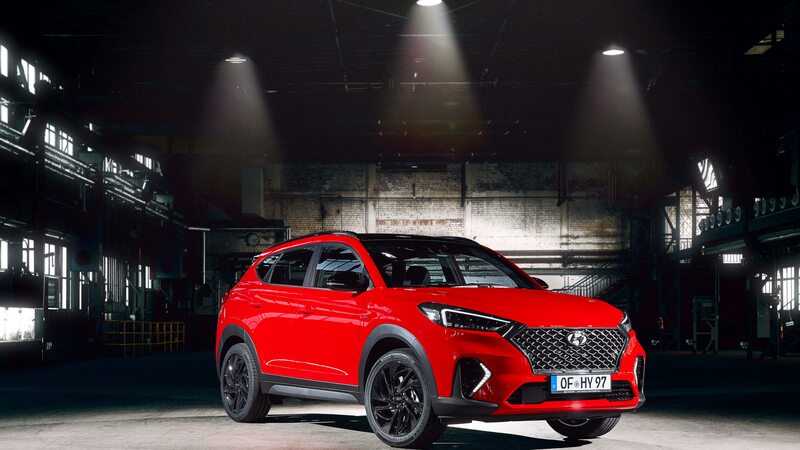 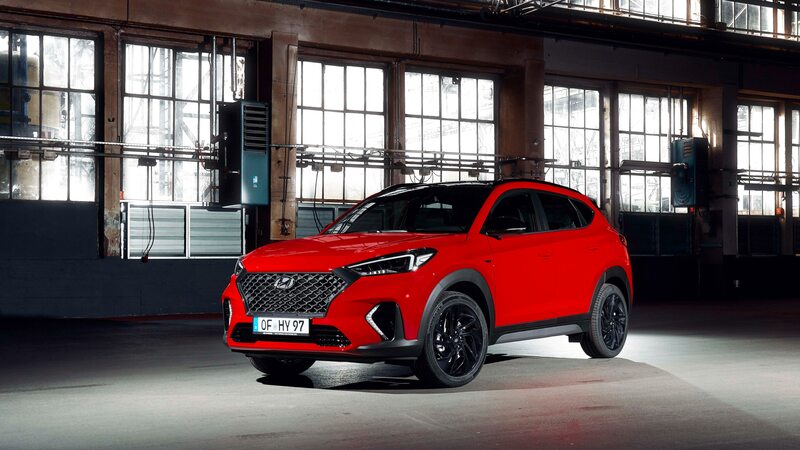 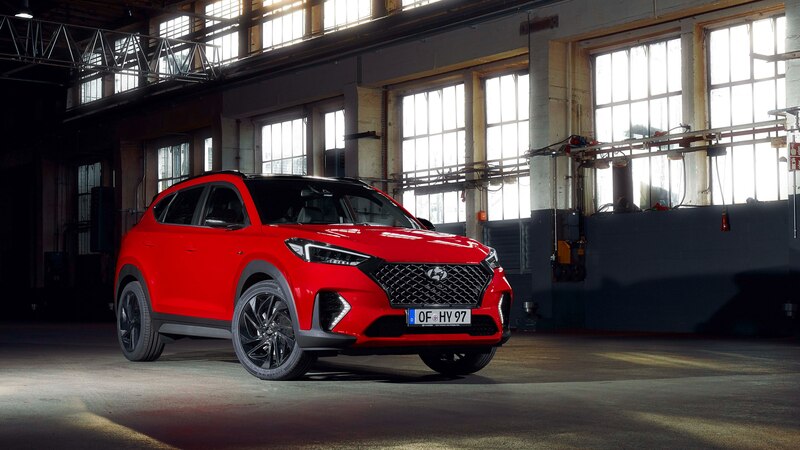 Hyundai declined to comment when asked whether it plans to bring the Tucson N Line to the U.S.; considering our market’s love for crossovers, including sporty ones, we can’t imagine it won’t make it here. 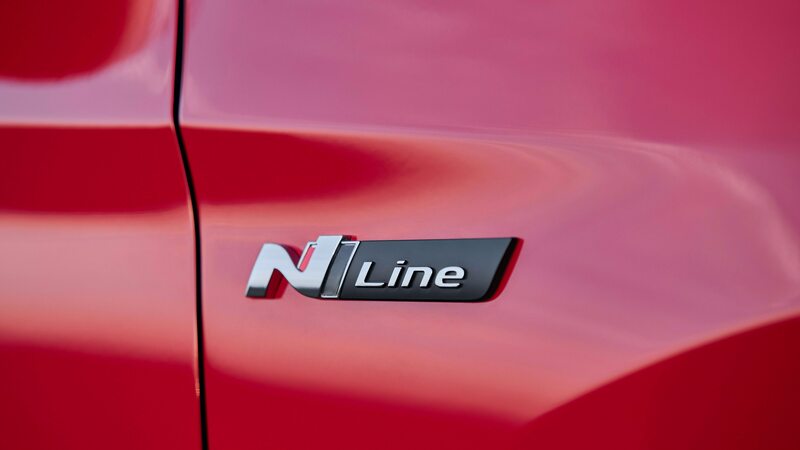 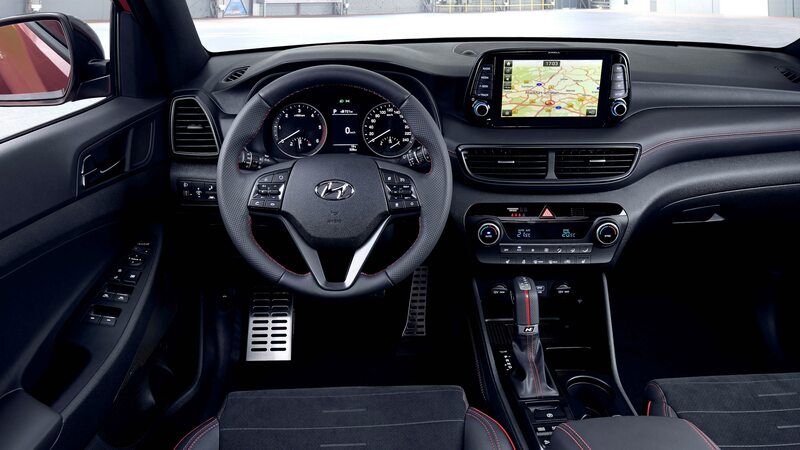 Hyundai first introduced N Line to the U.S. with the Elantra GT.